Back in November 2018, we shared with you that NETGEAR was planning to sell some premium Wi-Fi 6 routers. This was very exciting, as the addition of this bleeding-edge technology signaled that 802.11ax had truly arrived. Many die-hard NETGEAR fans were waiting for the Nighthawk line in particular to become equipped with this new standard. Now, NETGEAR announces yet another Wi-Fi 6 router, and this one looks incredible too. Called "Nighthawk RAX200," it retains the same stingray design of the previously announced RAX120, which I find to be quite attractive. It even has one of my favorite security features for a router -- automatic firmware updates. In other words, NETGEAR will keep the RAX200 router up to date without any effort from the owner. "The NETGEAR Nighthawk Tri-band AX12 12-Stream WiFi Router uses the latest Wi-Fi 6 (802.11ax) standard to provide four times increased data capacity to handle more devices on your network. Power your smart home, stream ultra-smooth 4K UHD streaming, game online, and more with blazing-fast combined Wi-Fi speeds up to 10.8Gbps and Wi-Fi 6 optimized 64-bit 1.8GHz quad-core processor," says NETGEAR. The popular company further says, "Tri-band WiFi offers two separate streams of data transfers in the 5GHz band to ensure best WiFi performance for all high-bandwidth applications such as Ultra HD video streaming, massive file transfers, or torrent downloads. Aggregate two Gigabit LAN ports and two Gigabit WAN ports concurrently for the Multi-Gig experience. 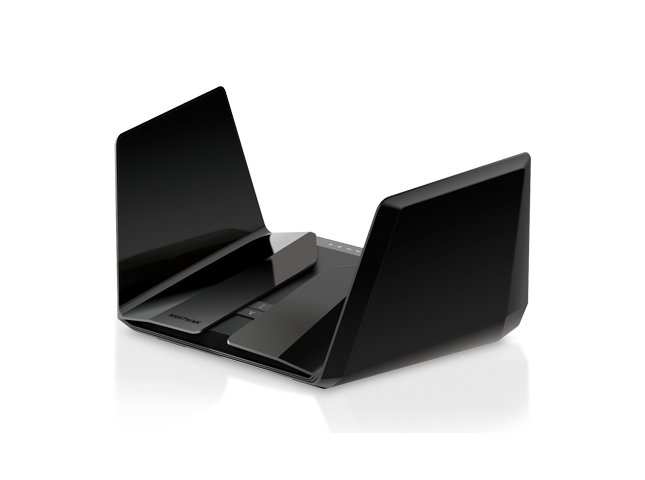 Eight high-performance antennas on the router amplify WiFi signals for maximized range and reliable coverage." 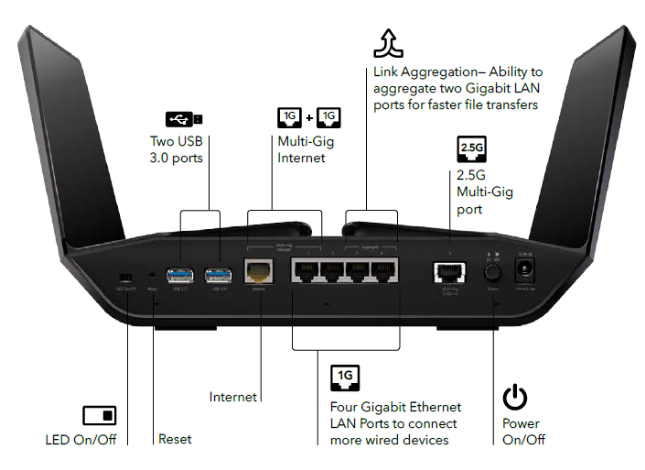 NETGEAR shares the detailed specifications below. As you can imagine, owning such a high-end router will not be an inexpensive affair. How much will it cost? A penny shy of $600. Yes, being an early adopter and buying the RAX200 will cost you $599.99. While it won't ship until May, you can pre-order it from Amazon here now.